A few years ago I saw this image of Bruce Lee at a turntable. Being a, shall we say, 'someone who has a slight interest in anything Bruce Lee related', I knew this was photoshopped. Here is the original image. 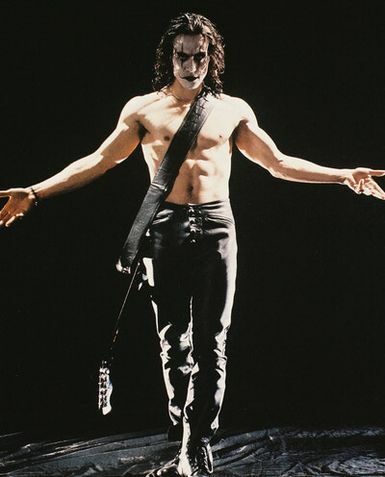 The 'original' image was known as "Bruce Be Blazin". 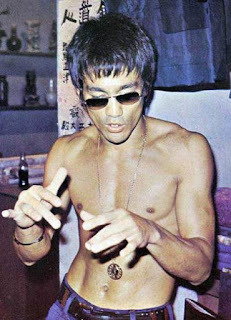 In recent years, this images has been photoshopped with Bruce Lee smoking a joint, hence 'blazin', along with other variations. The most popular shopped image is the Disc Jockey themed one. 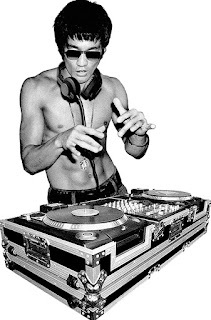 There are a few versions of the DJ Bruce. One was made into a shirt by designer Peter Lee. I happened to receive a shirt, known as Bruce Lee Gung Fu Scratch, like this from my cousin. 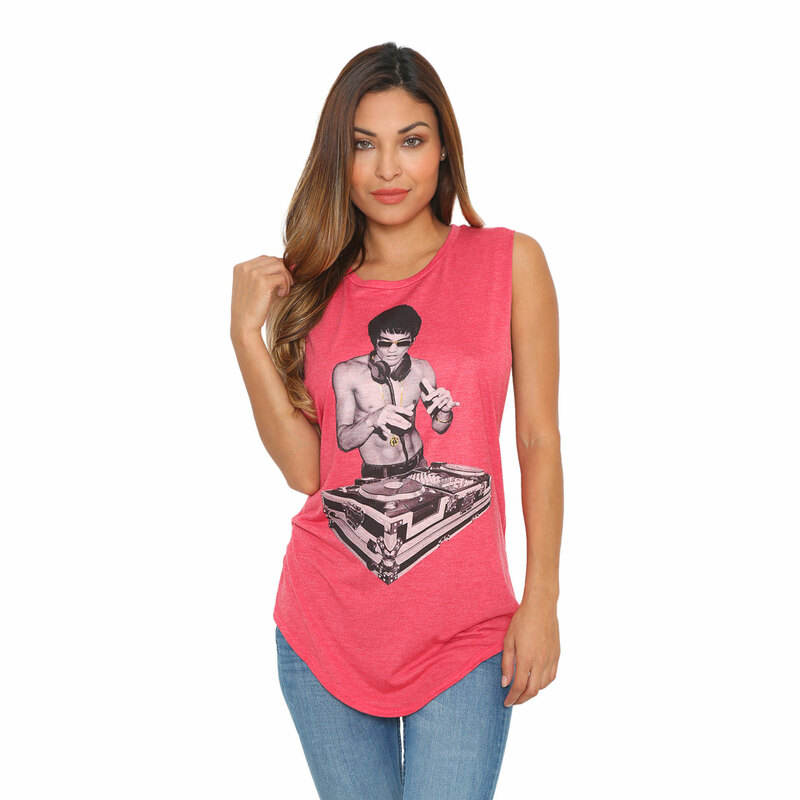 You can get them at Bow & Arrow '78, or at Official Bruce Lee Store. Yeah, I noticed that the image of Bruce Lee is flipped. Around the same time, I got another Bruce Lee shirt from another cousin (other cousin's brother). As you can see, I am pretty easy to shop for. 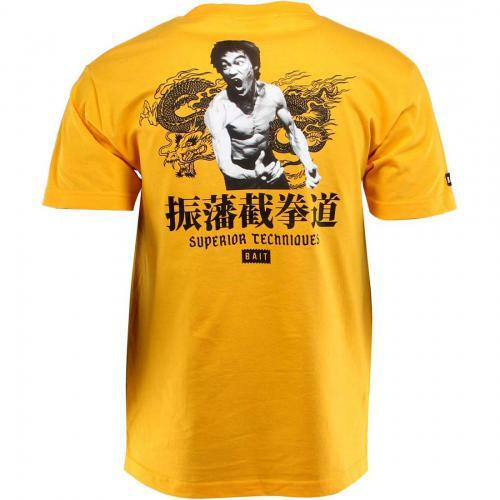 Just get me anything Bruce Lee related. 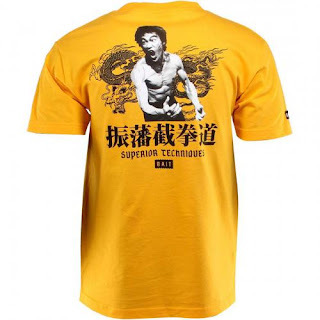 The shirt is by BAIT and you can order yours and other Bruce Lee items, here. To my surprise, I did not recall seeing this image of Bruce Lee, before. 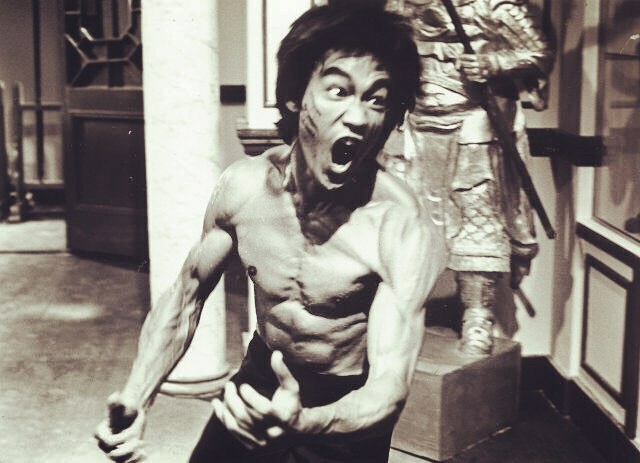 Obviously, the image is from Enter the Dragon, I wanted to find this unique image. I searched for this 'Bruce Lee rage' image (on and off) for months. Why the obsession? 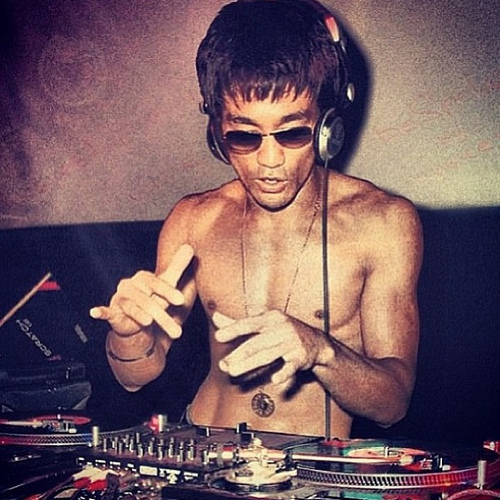 I had an idea...a moment if you will...you could say that I had a #BruceLeeMoment. Inspired by the DJ image, I wanted to take this 'new' image of Bruce and make it look like he was jamming on a guitar. Look at it. It looks like the poster for the Air Guitar World Championships. Months later, I stumbled on the original image. To my surprised the BAIT shirt image was also flipped. Is there something about flipping Bruce Lee's image when printed on a shirt? 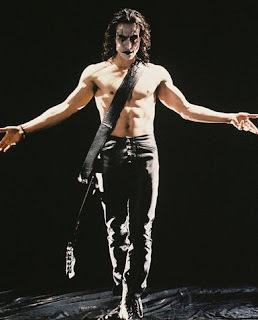 This works out fine, as I think Bruce Lee would play the guitar right handed as Brandon Lee did as Eric Draven in The Crow. Anyway, let the photoshopping begin. So, if you see this image of 'Bruce shredding a guitar' out there (like on a shirt), you now know the origin of it. ...and of course, I have to put DJ Bruce back there, too. 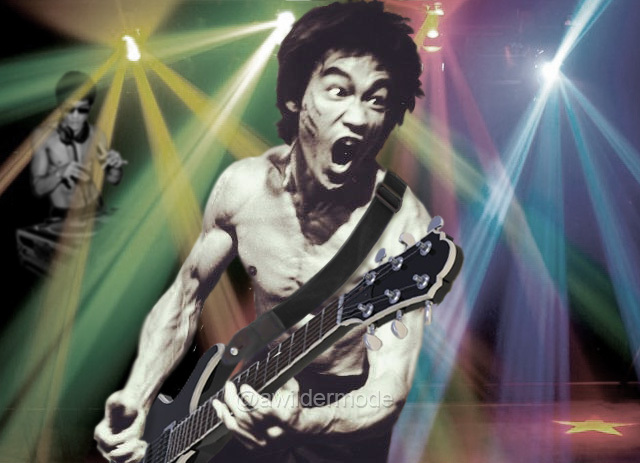 Maybe I can find other images of Bruce Lee on and photoshop him playing the drums, keyboards, singing...I could have a Bruce Lee band!